THERESA May has been stockpiling toilet paper during her latest trip to Brussels. With no-deal Brexit looming, the prime minister ordered the UK’s chief negotiator Olly Robbins to ram as many bogrolls as possible into her Skoda Yeti during a 7am stop at a hypermarket on the outskirts of the Belgian capital. May said: “You’ve got to stock up, both for personal use and for black market purposes. 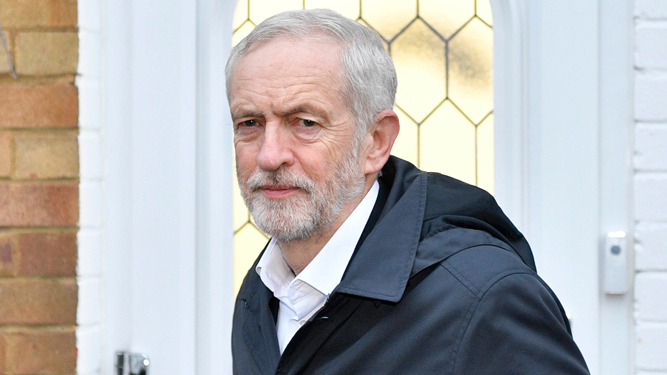 JEREMY Corbyn has admitted he walked out of a meeting last night because he saw Chuka Umunna, who he also sees looming from every shadow. Corbyn left the cross-party Brexit meeting the moment he saw Umunna, who he assumed was one of the many ghostly Umunnas who haunt his days and nights. He said: “They whisper to me in empty rooms, telling me I am not socialist Jesus but a weak, deluded old man. But when I turn there is nothing there. “They stand at the foot of my bed, trying to pull me to the political centre. They appear in the guise of my trusted advisers, which is why I stabbed Seamus Milne with that letter-opener. Sorry Seamus. “Sometimes when I address a rally every other face is Umunna, mocking me, taunting me. Which is ridiculous because my rallies are 95 percent white.